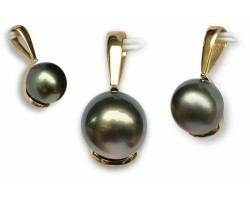 Pendentif Or et perle de Tahiti "Luana"
18k yellow gold pendant with a Tahitian black pearl. 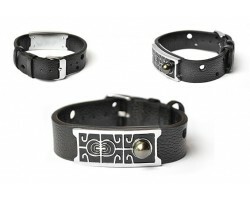 Steel and leather bracelet for men, with one Tahitian pearl. 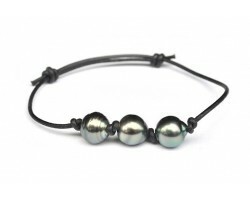 Black Leather bracelet with 3 pearls of Tahiti. 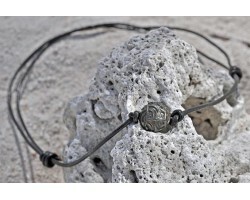 Necklace with natural pearls (keshis) of French Polynesia. 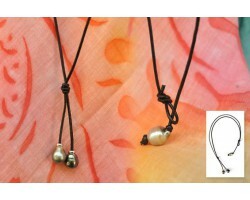 Leather necklace with 2 Tahitian pearls ("baroque pearls"). 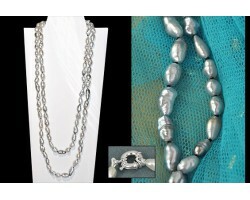 Tahitian pearl necklace, mounted on silk. 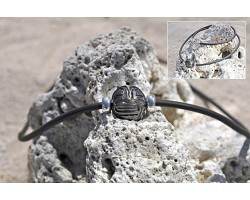 Black Rubber necklace with 1 engraved pearl (polynesian Tiki face), and silver spacers. 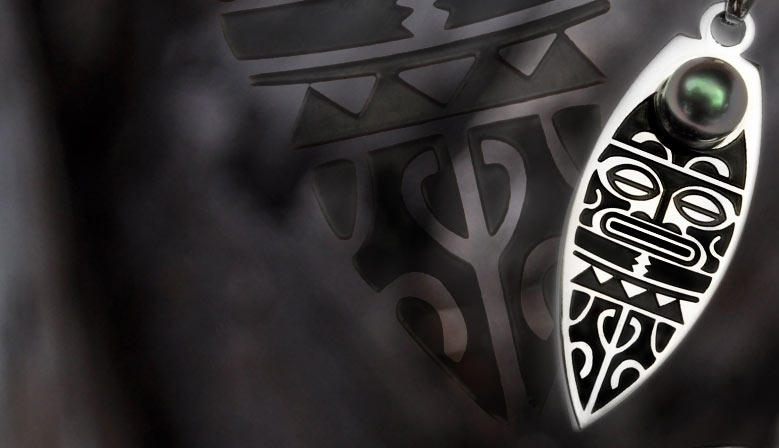 We offer shipping cost for French Polynesian islands and from 100€ purchase to all other destinations! 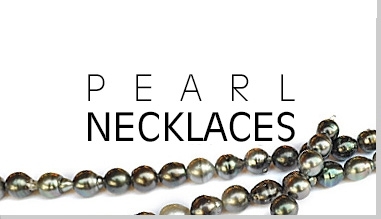 With 15 years experience in the world of the Tahitian black pearl, we have won a relatively important place in the pearl trade in Papeete and we can be proud to have an excellent value for money (despite the economic crisis) on all our products. 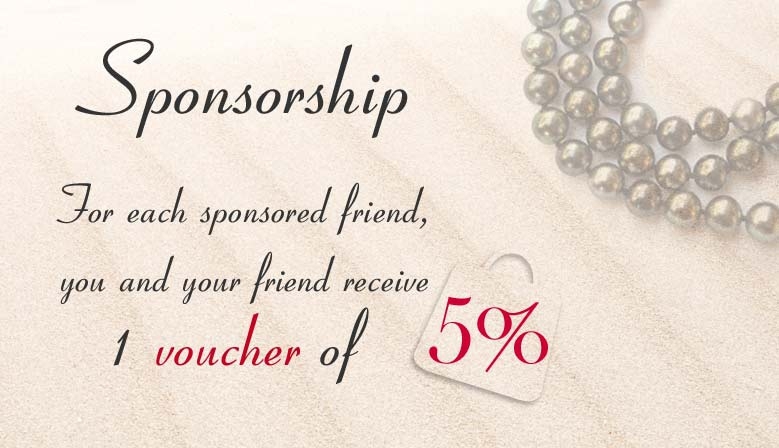 We are always looking to satisfy customers more and more demanding. 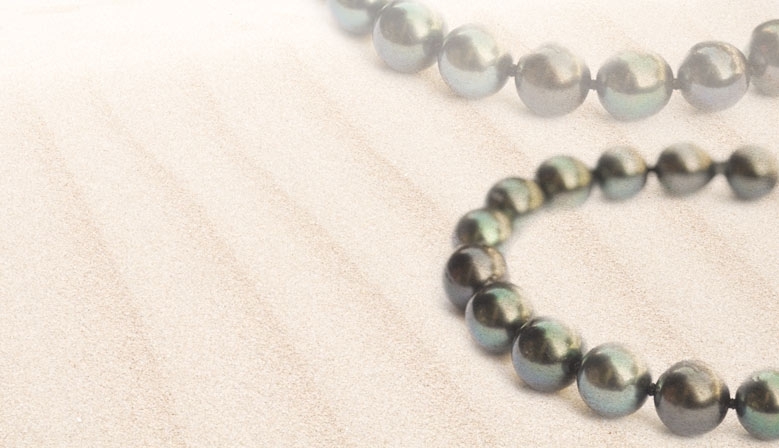 Our black pearls are all genuine and come from pearl farms in the Tuamotu archipelago and the Gambier Islands situated in French Polynesia. 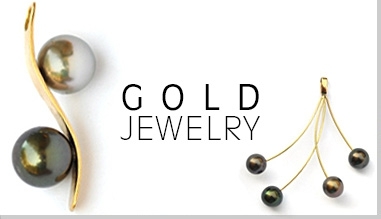 Our craftsmen works at the shop, they use the beads on gold, silver, leather, rubber, and stainless steel to create the beautiful jewelry that you can see on our website. Fabrice Cicorella, his charming saleswomen and craftsmen of his shops in Papeete wish you a pleasant visit and hope to see you soon in Tahiti!